So You Think You Can Dance and get fit? 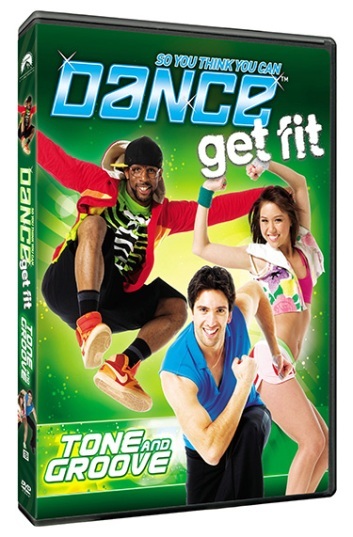 Of course you can and with the So You Think You Can Dance Get Fit home video series, the stars of the reality TV hit bring the dance routines audiences adore home for fitness. Cardio Funk. Both titles are currently in stores starring SYTYCD favorites Katee, Travis, Courtney, Lauren, Twitch and Dmitry. And don’t miss our exclusive clip from this DVD after our interview with Katee! Twitch tackles hip-hop, Katee jams to jazz, Dmitry performs Cha-Cha, Courtney does Disco, Travis’ expertise is Contemporary and Lauren gives the guys a run for their money in Hip-Hop. Katee Shean, finalist of season four, phoned SheKnows to dish on the new fitness DVDs as well as give us some inside scoop into the magic that is So You Think You Can Dance. SheKnows: Thanks for taking a few moments with SheKnows.com today. Katee Shean: Oh, my pleasure. public about the world of dance. As a dancer, what does that mean to you? dancers. It’s bringing us all together on one stage. The average person who doesn’t have dance training can at least appreciate that and be entertained by a routine we’re doing. they took up dance after watching your show? you touch one person, that’s awesome. But, if you get millions affected by dance, the show is really moving. SheKnows: How did these workout DVDs come about? in the different routines that people are learning. They approached us individually to do the project and everybody said yes (laughs). DVD, you had to be pretty thrilled and honored. on this project. I thought that was nice as well. SheKnows: Do you think the appeal is that it’s really approachable? 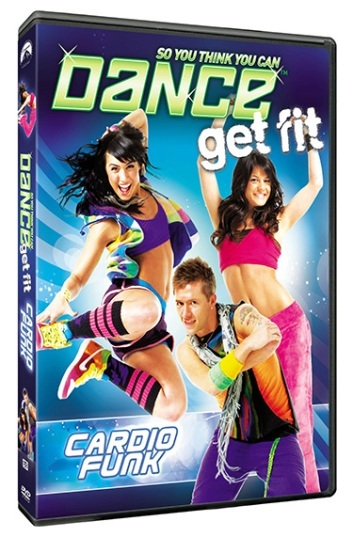 People that are huge fans of dance most likely enjoy dancing themselves, the DVDs are easy and accessible. Who hasn’t danced around the living room? definitely start off slow and break it down until we work our way up to a faster tempo. There are bonus features that include all six of us at once. It’s a fun little DVD. SheKnows: They actually sent it to me last week and my wife and I have had a blast doing it. Katee Shean: Awesome! That is so cute. SheKnows: You have the DVD coming out, how else has your life changed since you were a final two dancer on So You Think You Can Dance? Katee Shean: It’s definitely opened a lot of doors. I get to go out and teach on the weekends and give master classes. I just got back from New York working on Step Up 3. I’ve gotten to be in a couple of other movie projects that hopefully will get picked up. Something that’s also fun for me is I got asked to be the spokes model for Capezio (dancewear). cousins are excited that I got to do a Hannah Montana promo (laughs)! Katee Shean: They’re really excited to see their big cousin throw down with Miley (laughs). SheKnows: You just say Hannah Montana and Katee in the same sentence. You scored big points with the kids. SheKnows: Thanks Katee for taking some time with SheKnows. Katee Shean: Oh, thank you so much. You and your wife enjoy that DVD! SheKnows: We are already (laughs). Katee Shean: Keep it up (laughs)! Courtney takes us through Hip-Hop. Zumba will get you fit fast!